This project is funded by the Office of Naval Research. For more information, please contact Rob King or Larry Rosenblum. 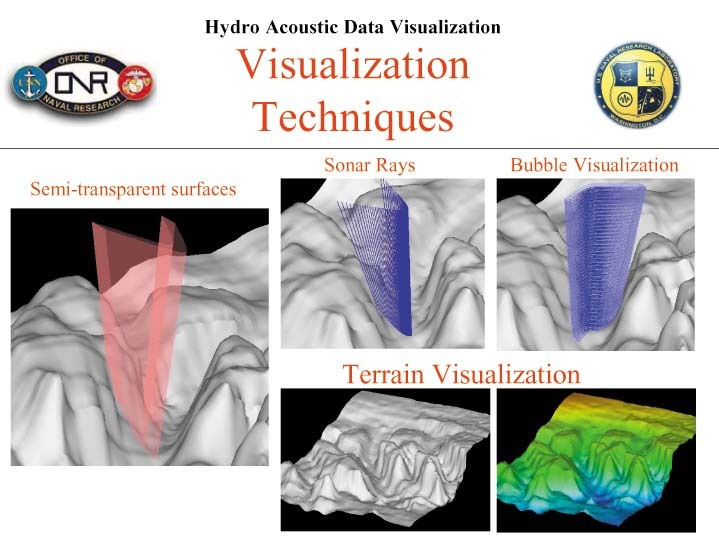 The technical objective is to develop effective hydro-acoustic data visualization techniques for use in an anti-submarine warfare system. This project is a collaboration with the Naval Undersea Warfare Command. 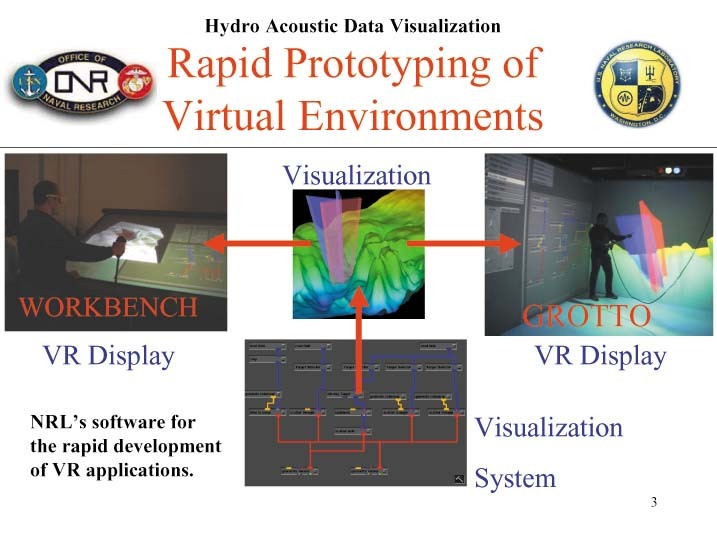 The objective of this project is to design, develop, and assess 3-D visualization as an aid for the anti-submarine warfare decision maker to: (1) rapidly assimilate the battlespace, (2) understand the problem uncertainty and develop more accurate solutions, and (3) acquire new insights into the battlespace. 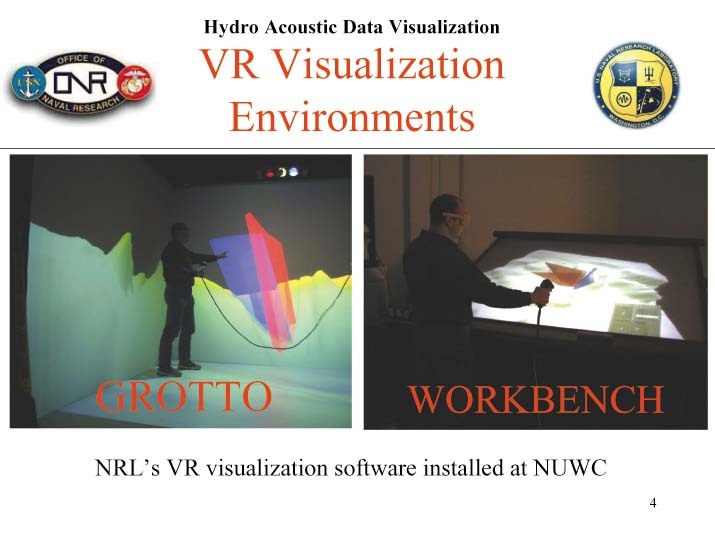 The visualization will be assessed in a tactically relevant problem domain (shallow water passive localization) that includes a complex acoustic environment, measurement error and uncertainty, complex acoustic coverage, and data latency. Here are a few slides showing some example visualization techniques and visualization environments. 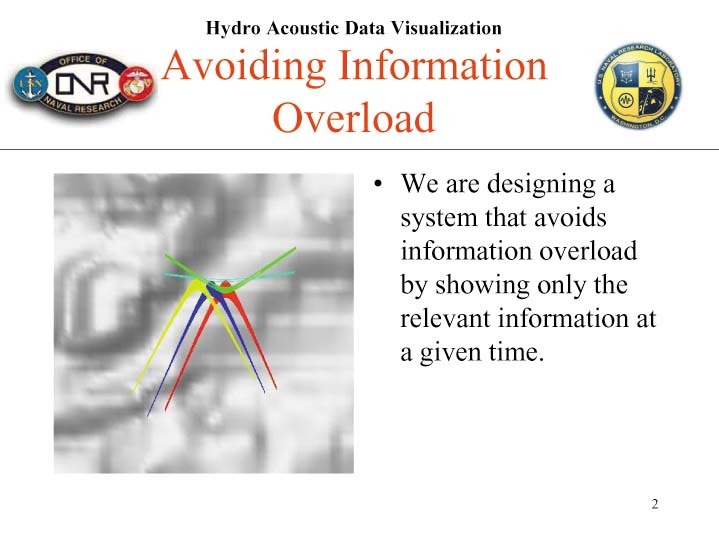 We are designing a system that avoids information overload by showing only the relevant information at a given time.